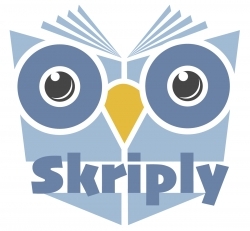 Los Angeles, CA, February 26, 2019 --(PR.com)-- Publishers House Ltd., creators of content aggregator Skriply, a powerful, privacy focused application are pleased to announce the appointment of Cedric Maloux, CEO of seed accelerator StartUpYard, to its board of directors effective immediately. A serial tech entrepreneur for more than 22 years, initially an engineer in Artificial Intelligence, Maloux, 50 years old, is now running StartupYard, the oldest running accelerator for startups in Central Europe which has invested in companies like DameJidlo, BrandEmbassy, NeuronSW, Rossum, WaymarkTech to name a few. Cedric is also a Board Member of the French-Czech Chamber of Commerce, an official French Foreign Trade Advisor, and a member of the Digital Leaders in Europe workgroup within the World Economic Forum. Publishers House Ltd. is a privacy focused application developer that monetizes paid-subscription models as an alternative to ads, social media, and data sales, for consumers and publishers, globally. Click here to view the list of recent Press Releases from Publishers House Ltd.